Have you been reading Chris’s amazing TNL Travels posts about her epic trip to New Zealand and Australia? The trip looks like it was incredible and her pictures make me want to get on a plane and head down under. Alas, I had to settle for a closer-to-home vacay recently, when I headed to Montreal. My sister lives in Montreal, so I get to visit this great city often. If you have never been, I would highly recommend that you go. I love going to Montreal because it has a distinct European feel. You feel like you’re really getting away, without having to break the bank too much to get there. The food and nightlife in Montreal are particularly amazing. I thought I would share a couple of my favourite food finds, for those folks that may be Montreal bound in the near future. By now dear TNL readers, you know I love brunch and seafood very much. it is for this reason that brunches WITH seafood hold a very dear place in my heart. The Delta hotel in Toronto has always been one of my favourite brunches in the city. Passing by the Delta in Montreal on a Sunday morning, we thought we might have a look and see if they had a similar offering. Boy, were we glad that we checked. The Tour de Ville restaurant is located on the 30th floor of the Delta Centre-Ville in downtown Montreal. The restaurant not only features a breathtaking panoramic view of the city, but it also revolves. The view from this restaurant is absolutely stunning. You can definitely see that you are revolving, but it is slow enough that it will not make you dizzy or motion sick. The restaurant is set up in two doughnut shaped sections. The inner doughnut stays stationary and features the cold buffet, hot buffet , carving station, juice bar and dessert buffet. Tables are located around the outer doughnut , which revolves. 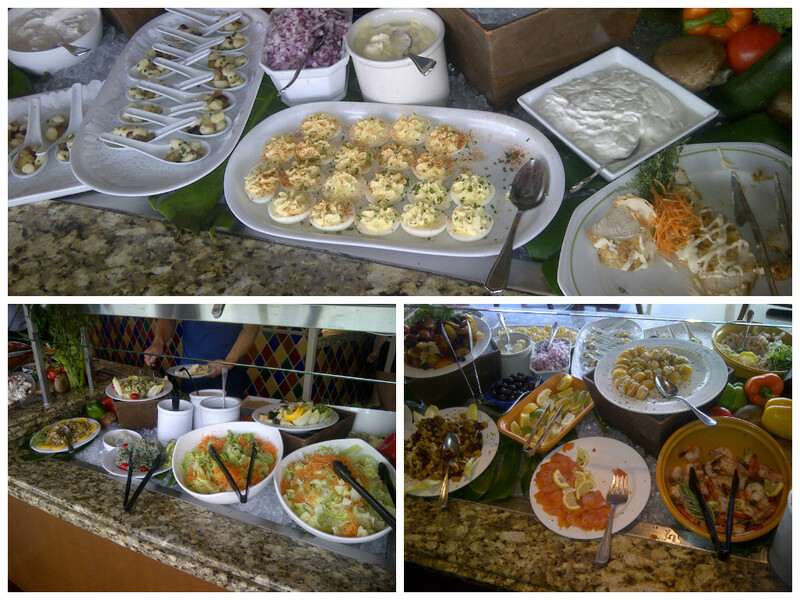 So, the location of the buffet stations changes through the course of the meal. the tables are numbered though , so it is easy to find your way back after every buffet visit. Food stations are all beautifully presented and garnished. The staff were polite and friendly from the moment we climbed the fight of stairs into the restaurant. Despite not having a reservation, we were seated right away at a window table. Our server Richard, was a delight. He was kind and knowledgable about the buffet offerings, starting us of with a through description of everything available. Richard has attentive and helpful during the duration of our meal. Always clearing away dishes and filling beverages in a quick and efficient manner. Kitchen staff we very present throughout the meal, ensuring that all buffet items remained filled and hot. The chef at the carving station was helpful and friendly. He offered a rich chocolate fondue and belgium waffle at the end of my meal, that’s a fast way to win my friendship! A delicious cold table with such offerings as lobster, smoked salmon, cured meats, salads, olives, deviled egg and lobster pear cucumber rolls. Yum! Pastries such as chocolate croissants and apple danishes were delicious. For lighter fare, yogurt was available with all of the fixing. But let’s be honest, who’s thinking about lighter fare…not me. I’d rather have lobster than yogurt. 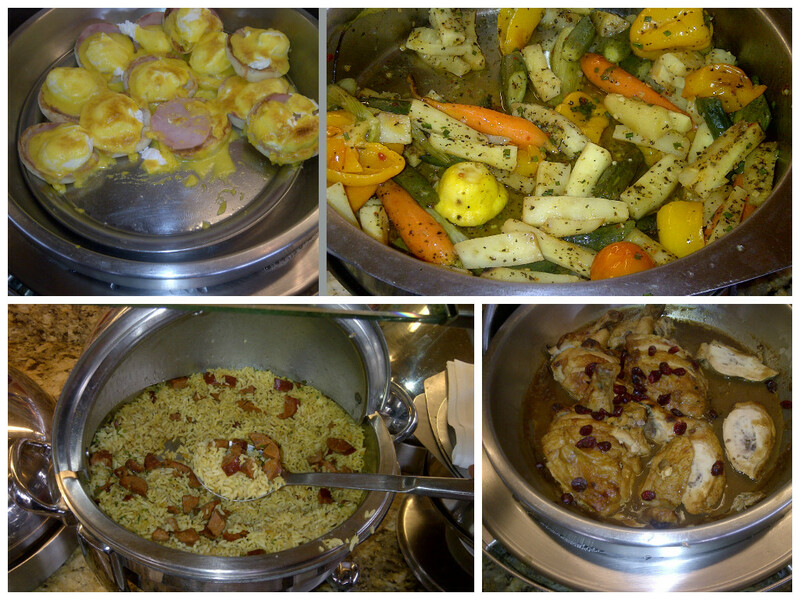 There was lots to choose from at the hot buffet table. 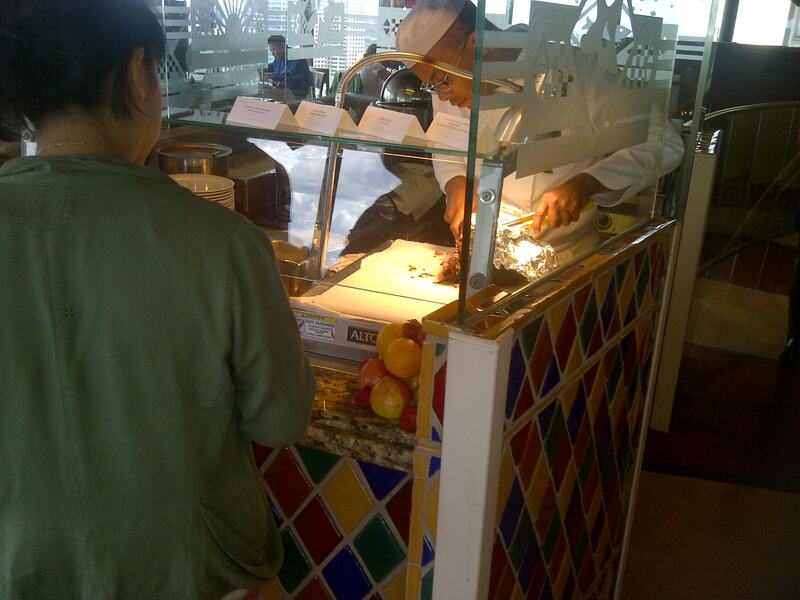 Regular brunch fare like scrambled eggs, pancakes, eggs benedict, french toast, bacon and sausage were available. But it was not the traditional breakfast fare that caught my eye. Dishes like chorizo rice, stuffed chicken with apple and cranberries, salmon and cod with asparagus and orange veloute, bison sliders with cheddar pablano pepper sauce and lamb shank with onions, lemon and coriander that stole the show. 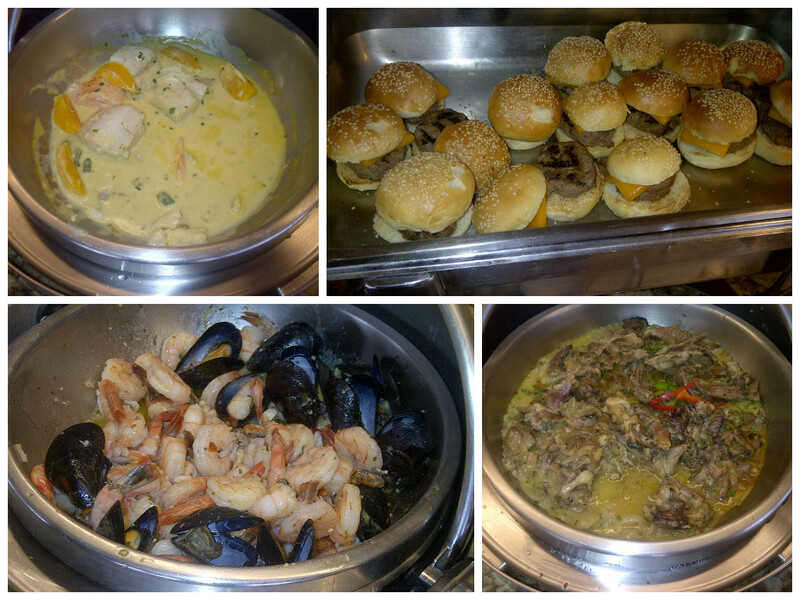 My very favourite of the hot dishes was a mixture of lobster, mussels, clams and shrimp in a garlic butter sauce. Delicious! 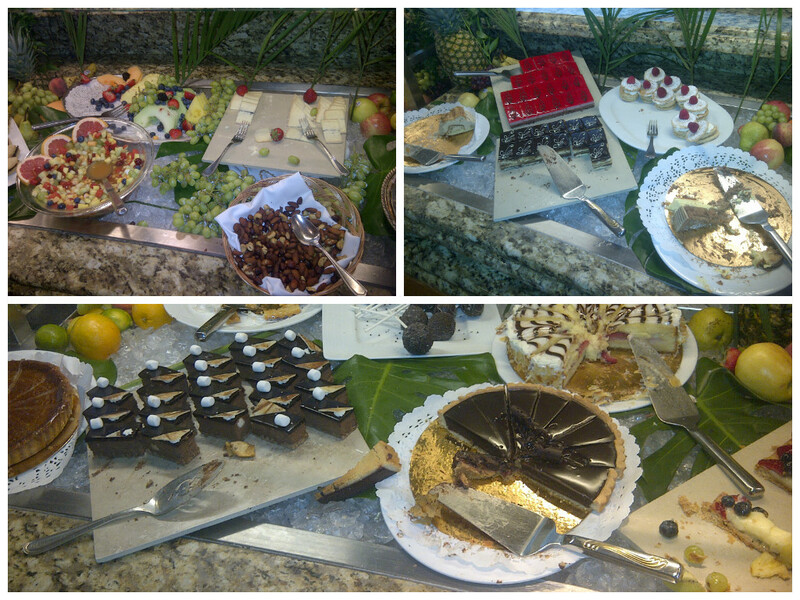 Raspberry mousse, cheesecake, sugar pie, tiramisu, fresh fruit and a cheese platter topped off this magnificent meal! Ok, so this brunch is rather pricy. That being said, I think that it is worth every penny. 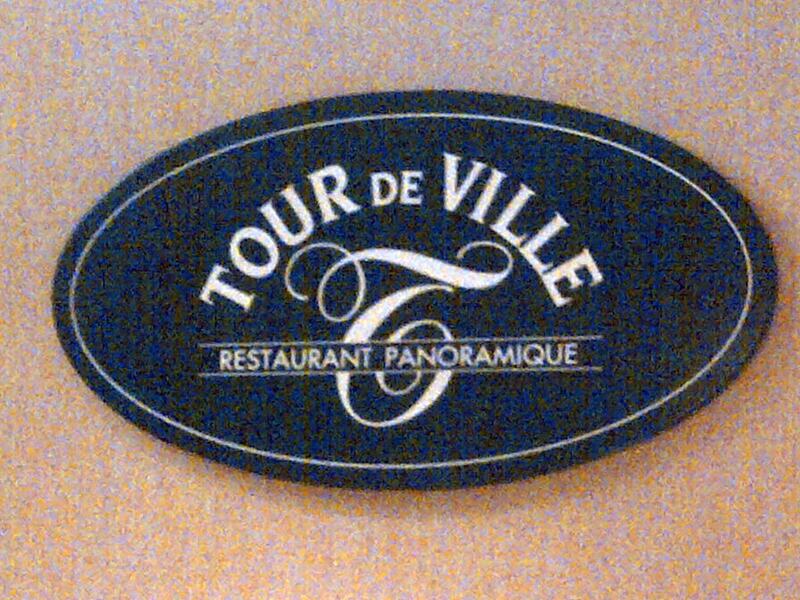 The Sunday brunch at Tour de Ville is $42.95, gratuity and taxes not included. The cost includes unlimited Starbucks coffee, Tazo tea and fresh fruit juices. This Sunday brunch is great for an event celebration or a just a special treat meal. A splurge for brunch, it is not much more than a dinner night out if you think about it. 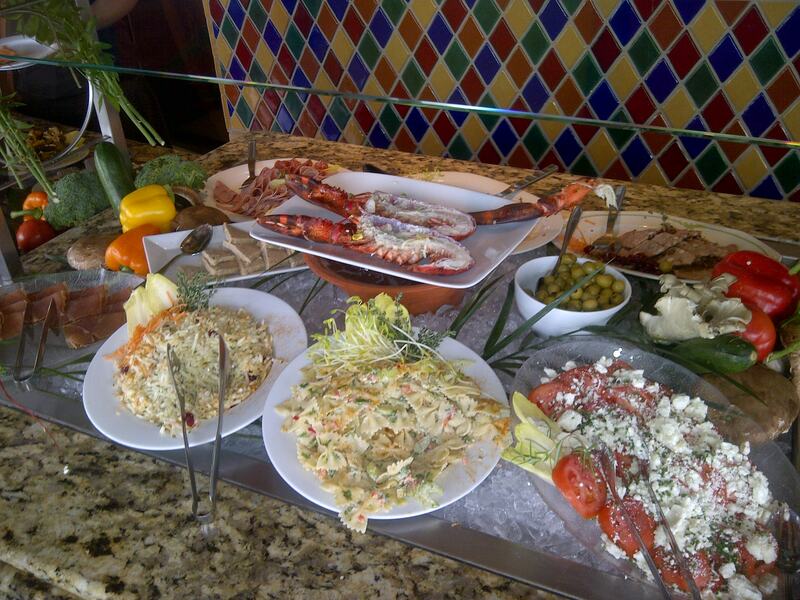 The food selection is phenomenal and there is a good selection of fresh, delicious seafood, choice meats and delectable pastries. For an all you can eat buffet this actually makes the value very good. 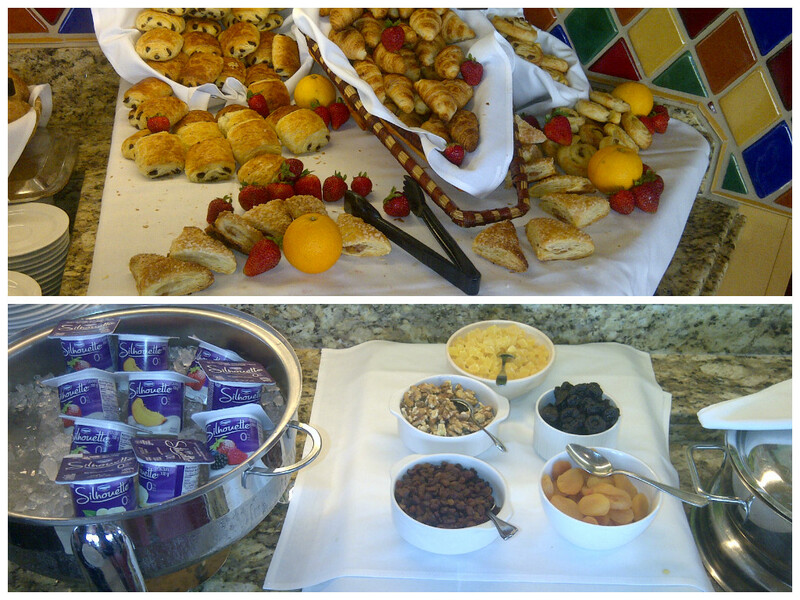 The Tour de Ville Sunday Brunch is a decadent delicious experience. 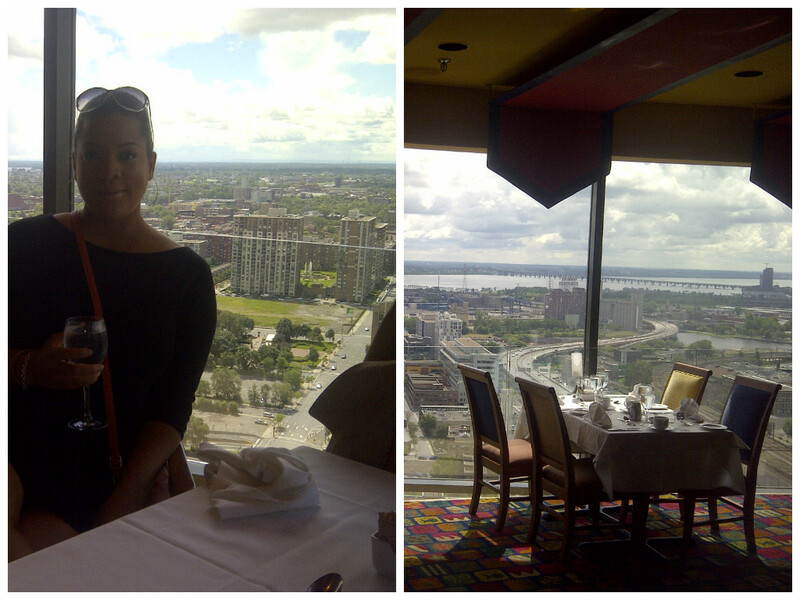 The feel of the restaurant is luxurious and the views of Montreal are spectacular. Excellent service made the experience even better and I would absolutely recommend this meal to any food lover. I think that the selection was vast and could please many different tastes. Yummy! I want to go there now! Sadly I’ve only ever been to Montreal once but this makes me want to rush right there this weekend and indulge in the deliciousness! I love Montreal, this is just one of the wonderful things about that city! It is definitely not an everyday kind of meal!